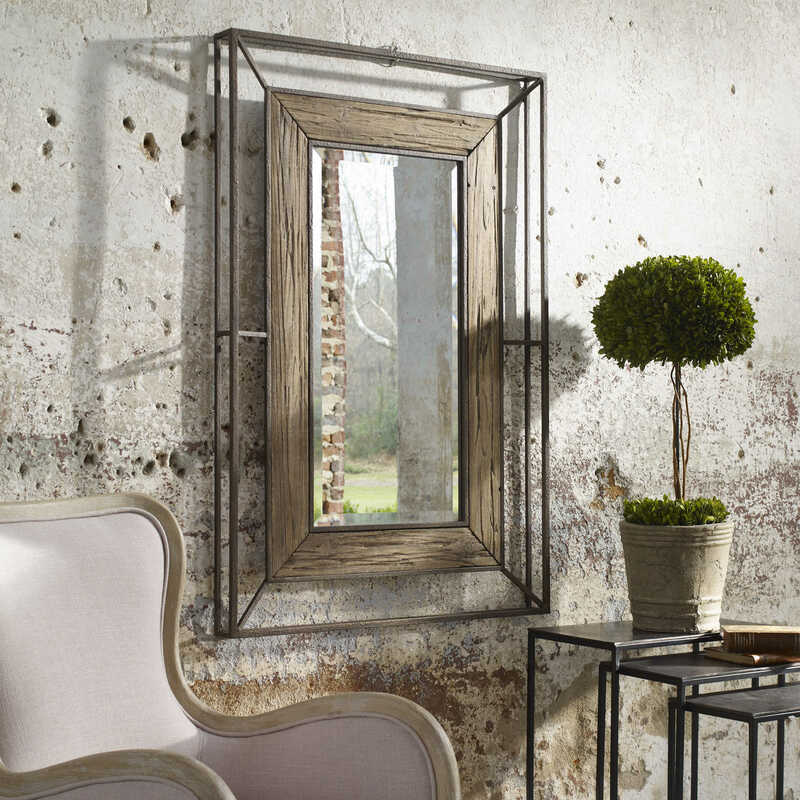 This hand forged iron mirror frame features a 3-dimensional open design that's finished in a dark rust bronze. 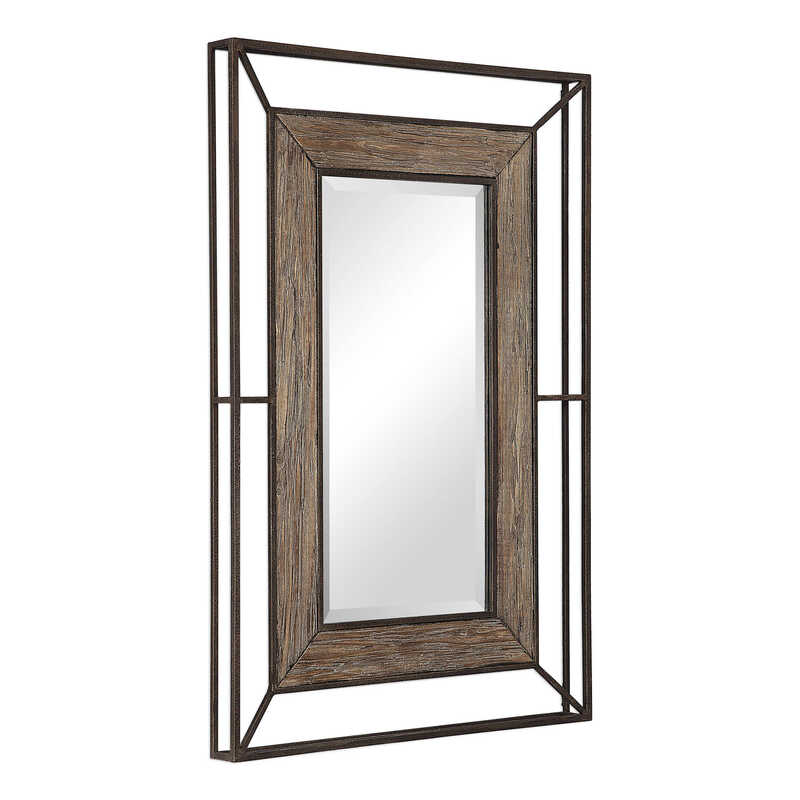 The inner frame uses aged, natural fir wood planks. 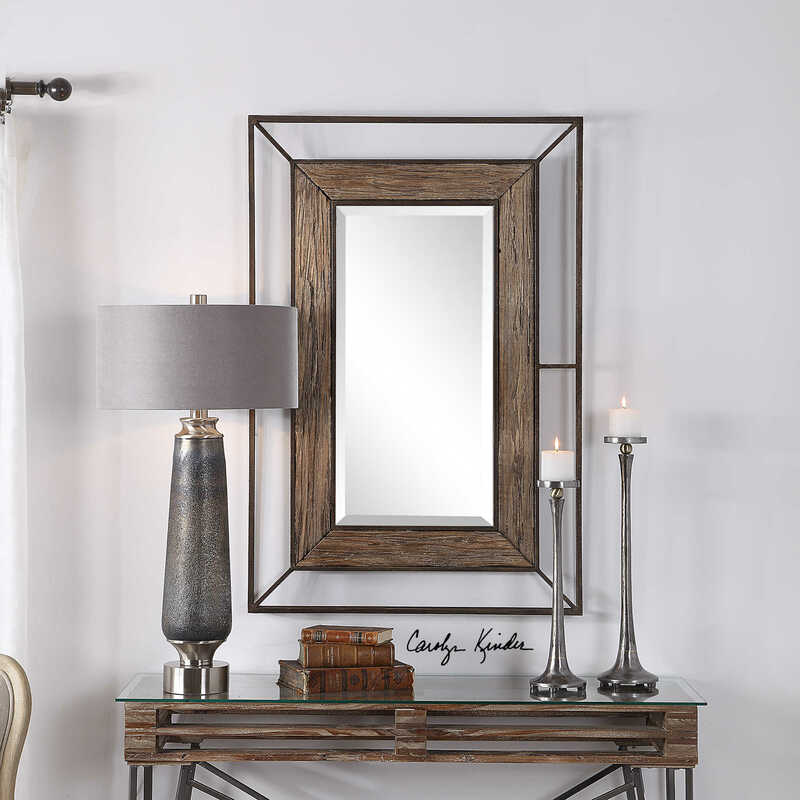 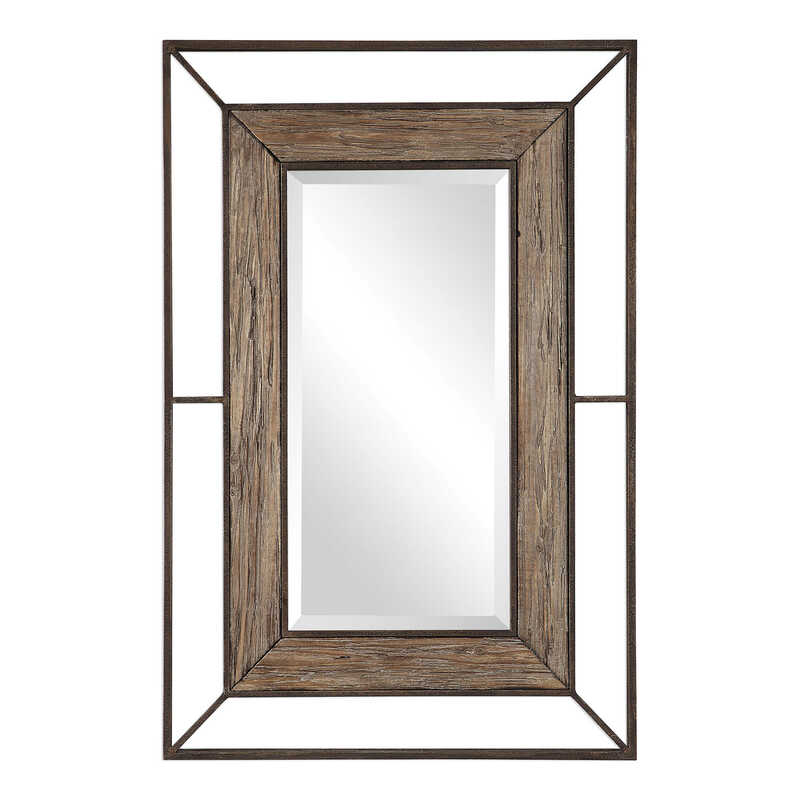 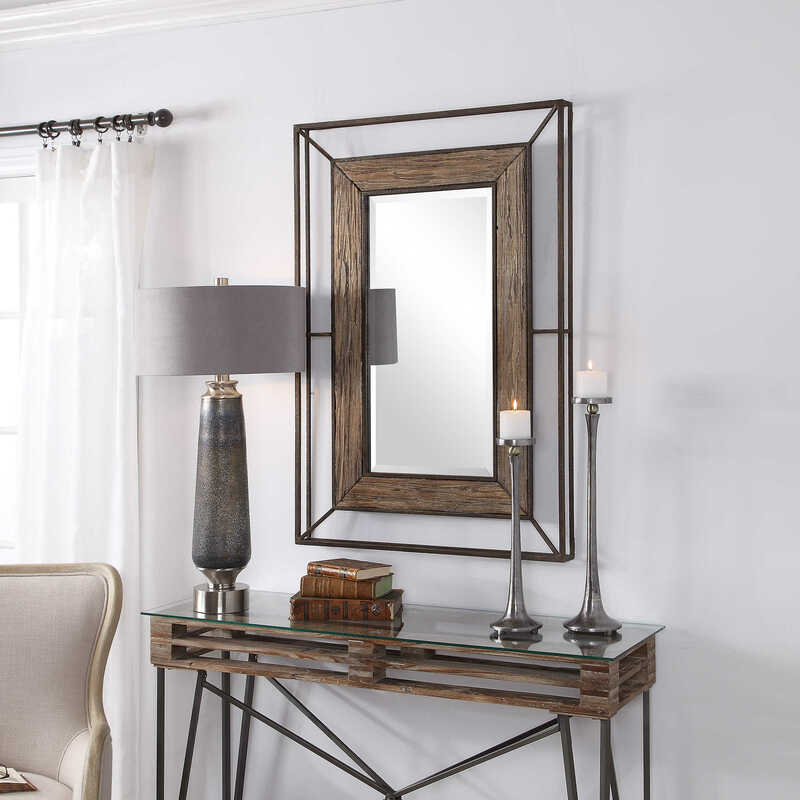 The mirror has a generous 1 1/4" bevel and may be hung horizontal or vertical.